Fall, 2014 - "Obama's immigration plan draws support from local advocates" Samuel J. Krantz referred to and quoted in article regarding president's new immigration plan, BSL Law Notes, lohud - The Journal News. See full artilce. 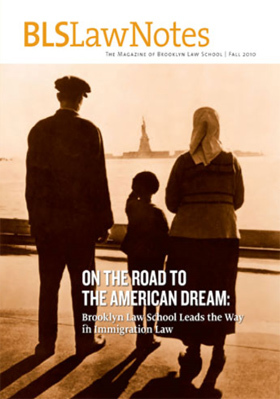 Fall, 2010 - "On the Road to the American Dream: Brooklyn Law School Leads the Way in Immigration Law" Samuel J. Krantz cited in section about Brooklyn Law School alumni who specialize in Immigration Law, BSL Law Notes, Brooklyn Law School Alumni magazine. See full section.